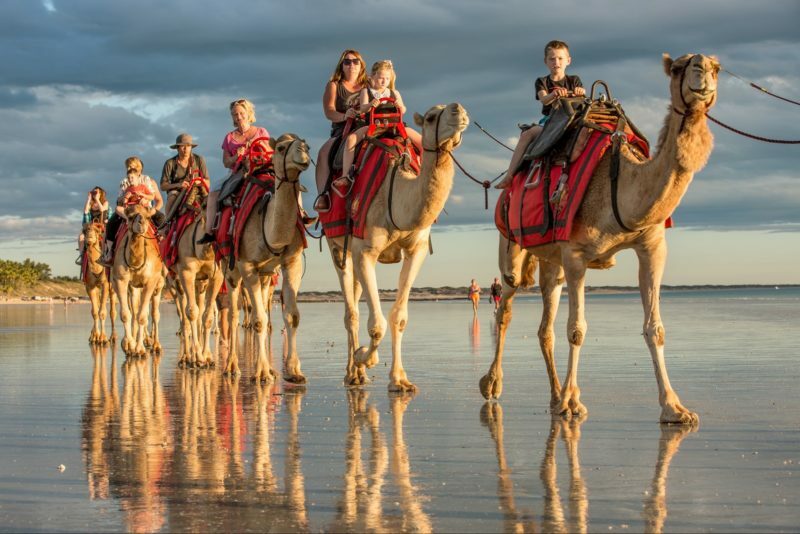 For camping under a star-filled outback sky and immersing yourself in Aboriginal history, visit Manning Gorge off the epic four wheel driving track, the Gibb River Road in the Kimberley region. This stunning gorge offers camping by the tranquil pools of the Manning River. Go bushwalking and discover the Manning Gorge and waterfall. 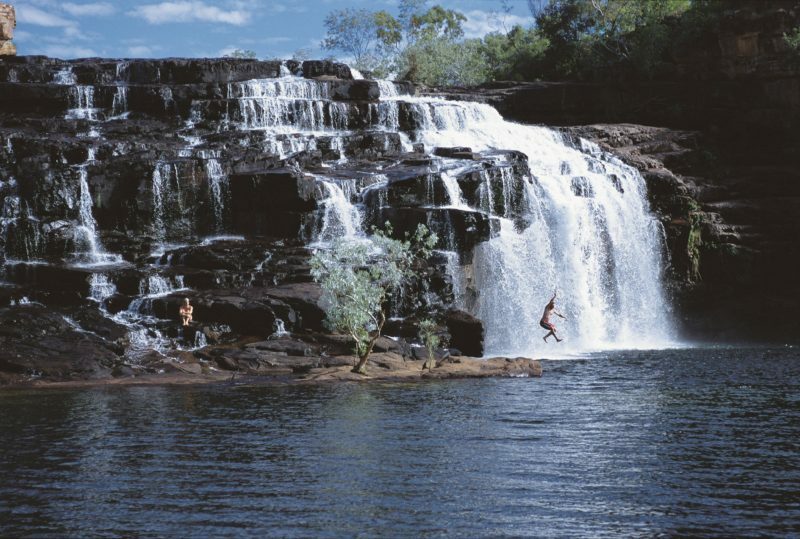 Take your time and explore Aboriginal rock art then go for a refreshing swim in the pool near the falls. The falls are at their best between May and July after the wet season. 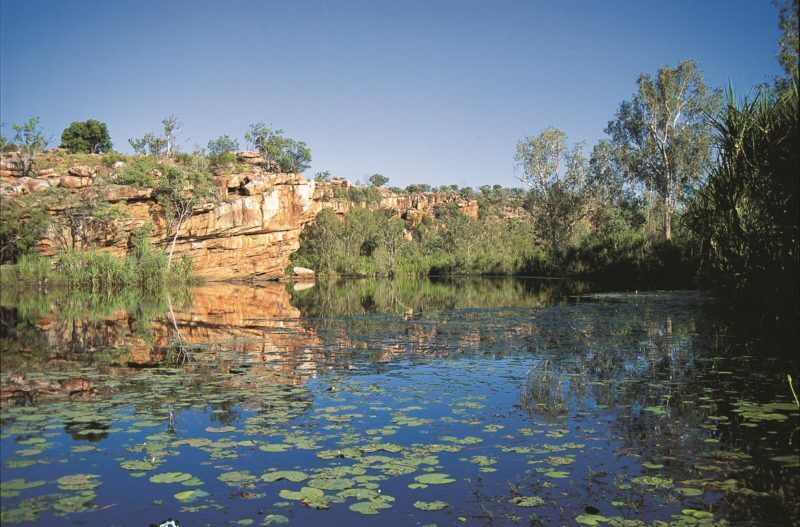 The Kupungari Aboriginal Community welcomes visitors to Manning Gorge and maintains the camping area. 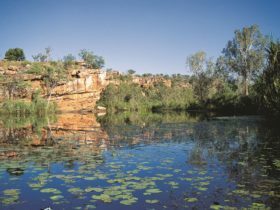 Manning Gorge is accessible only by four wheel drive and is around 300 kilometres north east of Derby near Mount Barnett. There’s a fully equipped store and roadhouse at Mount Barnett where camp fees are paid.